No one has ever, or will ever, be as happy as Kanye was during this episode. 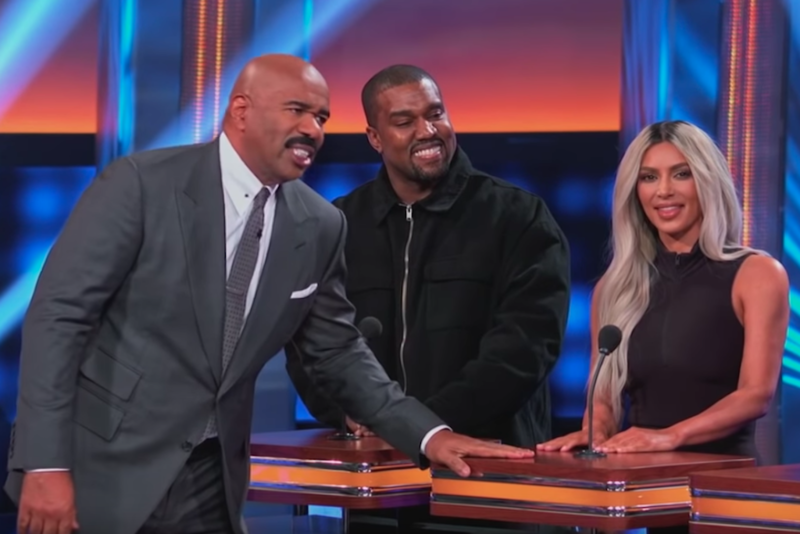 On Sunday night, the highly anticipated Kardashian/West episode of Celebrity Family Feud went to air, with Team West (that’s Kanye, Kim, and Kanye’s cousins Kim Wallace, Jalil, and Ricky) facing off against the Kardashian-Jenner clan (made up of Kris, Kendall, Khloe, Kris’ mum Mary-Jo, Cici Bussey and the Foodgod himself Jonathan Cheban). The Kardashian-Jenners blitzed basically every round, but no one was having more fun than Kanye West, who spent the entire show beaming from ear to ear. Early on he professed his love for the show, yelling “Gotta have the Feud!” at host Steve Harvey after Kim Kardashian admitted they watch the show every single night. 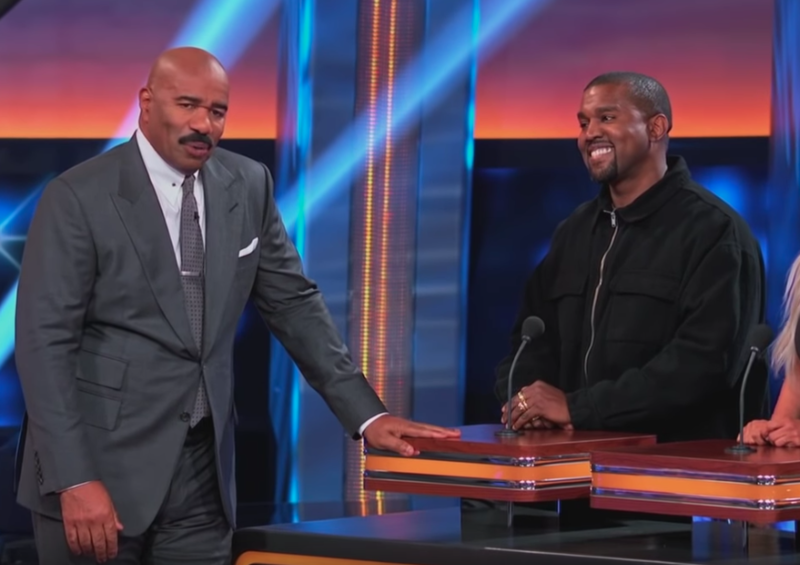 Get you a man that looks at you the way Kanye looks at Steve Harvey. After the months of Donald Trump-sympathising and controversial Twitter outbursts, it was almost jarring to see Kanye smiling and laughing so much (the episode was filmed back in February, so prior to the ye promotional cycle). Truly wholesome as heck. He didn’t even flinch when Kendall Jenner threw some shade at Donald Trump. Harvey had posed the question, “If you had a wild party and everybody’s naked, who is someone you would hate to see show up?”, to which Jenner answered “Donald Trump” without so much as blinking. In the end Kanye and Kim prevailed in the final ‘Fast Money’ round, winning $25,000 for the Los Angeles Children’s Hospital. Watch clips from the show below.